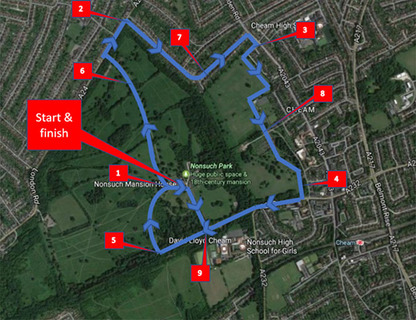 The race consists of 2 laps, passing through Nonsuch Park & Cheam Park on tarmac paths and on the surrounding roads. The route will be clearly marked with kilometre markers and well marshalled. A short 3rd loop will take you right past the Mansion House and to the finish which is situated next to the start line.